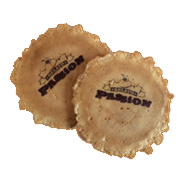 We have a huge passion and love for all things sweet and tasty! Our delicious treats are made in-house and we constantly try to innovate new and exciting flavours to create something more spectacular and special for you. We now have over 7 branches including one in Islamabad! We soon hope to open in Dubai. The concept started back in 2008, after years of meticulous research & planning, we are proud to bring the dream into reality. After several trips to Italy, the heart of fine desserts, authentic gelato ice cream was carefully selected to bring you the very best of dessert experience. Using only the finest and most scrumptious ingredients, we promise you'll be back for more. We have a massive menu of delights for you to enjoy, we hope you love each and every one of them! Why not come and visit us at your local branch.